ZPC recognize that with its success as a corporate organization, comes with the responsibility of giving back to the society in a meaningful and sustainable manner that would contribute to the social progress and improves life of Zanzibar through poverty alleviation and promoting economic development. To support the government development initiatives, ZPC focuses its assistance to main area of health, education, social development; the physical handicapped Group and respond to national disaster. The corporation supported to community development projects in the area of education where assistance focused on construction of classes, provision of desks and other utilities. Donation granted towards hospital materials, refurbishment of wards and health center to various community and social development projects on salutation also considered. The physical handicapped where provided with special traffic road sign as a mitigation on challenges they face on roads. To start with, these signs shall be place on various road crossing in Zanzibar to start with. Malindi port is the main entry point handling International trade for the island of Zanzibar. 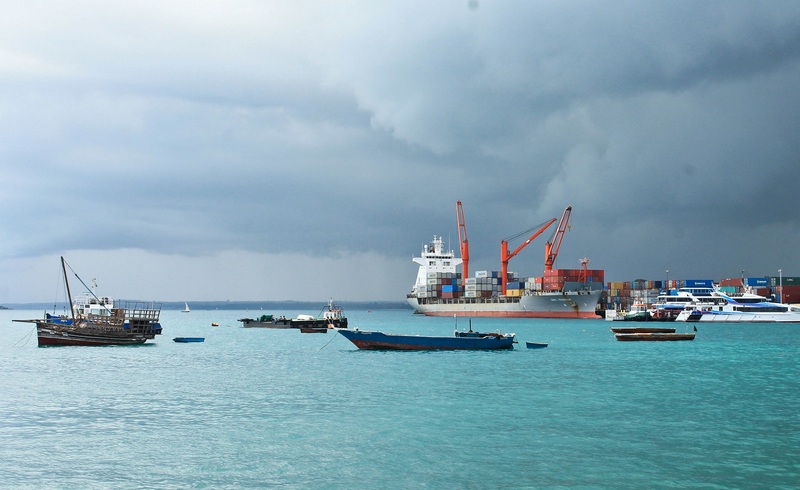 About 95 percent of Zanzibar imports and export pass through these ports. The malindi port has busiest passenger terminal in East Africa Region handling and average 1.5 Million people per year. This port has one berth for large foreign going vessels, with a quay length of 240m and one for coasters with 113m length; it can accommodate first generation container vessels with 10m draft. There is no shore cranes of a wharf, ship gear are used offload and load cargo. After completion of Rehabilitation project, which has funded by EU 2005-2008, the port corporation improve considerably between 2008-2010 container traffic increases at 30 percent per year this is due to the growing of containerization of cargo at Zanzibar port. About 40 present of import cargo is for Tanzania Mainland Market and the rest for Domestic consumption. Zanzibar Town (Urban West Region) about -35 NM off the cost of Tanzania Mainland lat. 6 0 093South long. 39 0 11.5East. One Berth for Deep see vessels one berth of coaster vessels. Total Quay length: 400-meter Berth NO.1: Draft 11-8 meter Berth NO .2: Draft 7-5 meter capacity to accommodate up to 20,000 DWT vessels. Handles 2nd Generation vessels up to 190m length. Annually Througthput-50,000 Teus and 150,000 Tons of General Cargo. Copyright 2019 Zanzibar Ports Corporation. All Rights Reserved.